Operating at South Carrollton Avenue and Banks Street in Mid-City since 1926, this all-boys high school operated by the Society of Jesus is well-known for producing droves of the city’s politicians, doctors, lawyers, academics, Catholic priests, and other professionals. 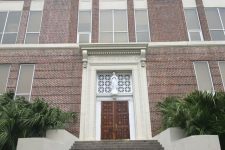 Some of New Orleans’ most famous musicians also have passed through the hallways — although not all left with diplomas. 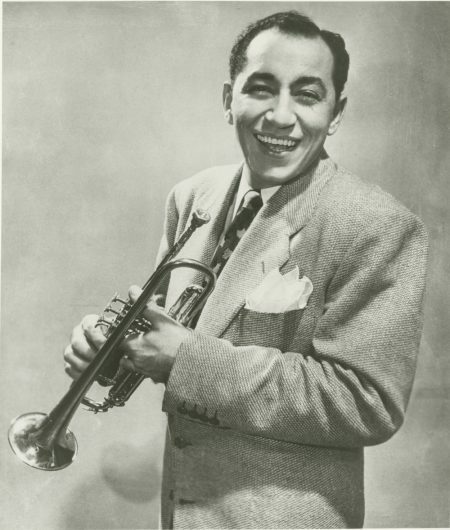 The charismatic bandleader Louis Prima got some early training at Jesuit in the 1920s, when he was chosen to lead his class band in part because he owned his violin. He switched to trumpet – the instrument that would make him famous – when his older brother Leon, a musician, went on tour and left one behind. Louis then transferred to Warren Easton High School, where he led another group. He would lead band after band across the country for the next fifty years. Another Jesuit High nongraduate, Malcolm Rebennack, would achieve worldwide fame with his “Dr. John” hoodoo-man persona, created in 1967. 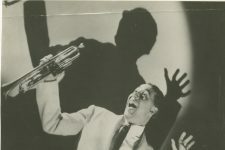 But as a teenage bandleader performing at a 1950s Christmas talent show, Rebennack angered the Jesuit priests with alleged “lewd gyrations,” resulting in his dropping out from the school. 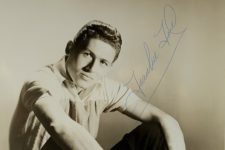 He would go on to be a talent scout, A&R man, composer, producer, arranger, and session musician for Specialty, Ace, and numerous other labels, working out of Cosimo Matassa’s famous studio. 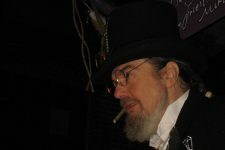 Although initially a guitarist, Rebennack mastered the piano and organ and has become a torchbearer of the New Orleans keyboard tradition. 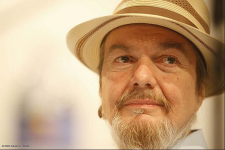 Rebennack was inducted into the Rock and Roll Hall of Fame in 2011. 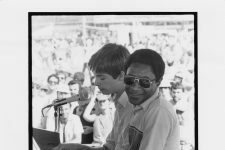 Jesuit’s most famous musical alumnus in recent years is pianist and singer Harry Connick Jr., a 1985 graduate who once entertained fellow students with lunchtime concerts. The son of the city’s longtime district attorney, Connick was tutored by Crescent City piano legend James Booker and also studied music at the New Orleans Center for the Creative Arts. 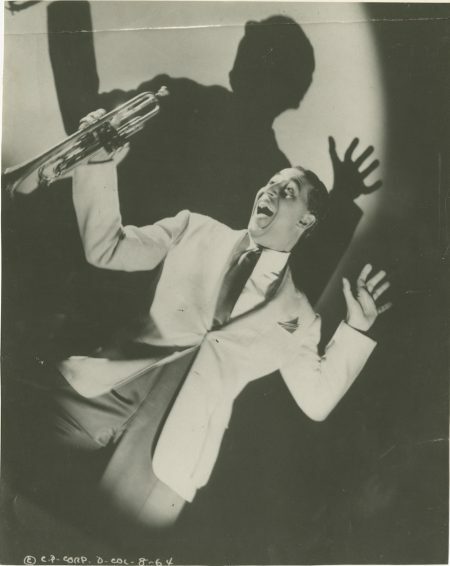 Connick has sold millions of records in a variety of genres, from jazz and swing to funk, big band, and pop music. 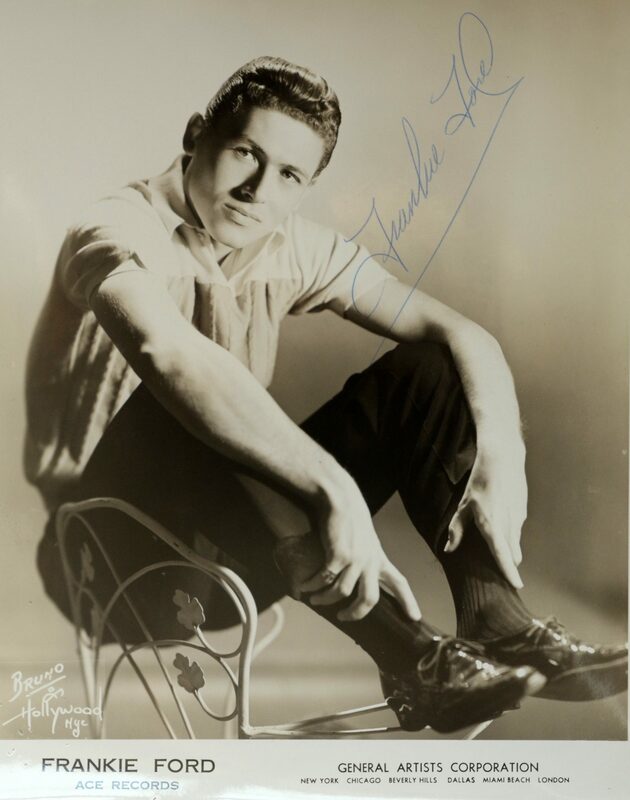 An actor in film, TV, and musicals, Connick also served as an “American Idol” judge and helped found New Orleans’ Carnival parade krewe Orpheus with his Jesuit High theater mentor Sonny Borey. 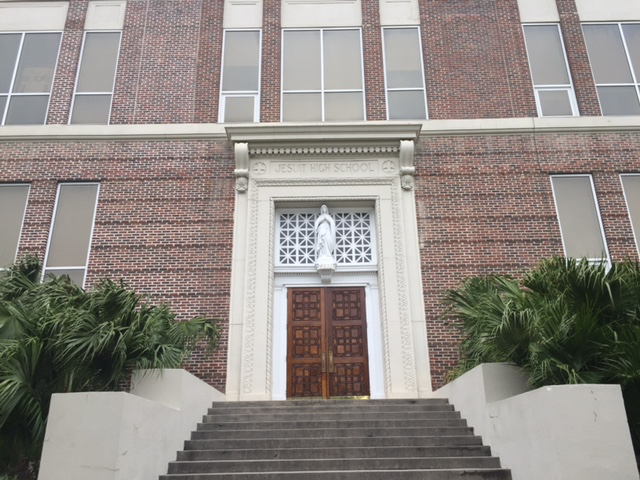 Jesuit’s 900-seat auditorium has played host to numerous concerts, musicals, ballet performances, and talent shows throughout the decades. Local musicians such as Frankie Ford and the Dixie Cups have appeared on its stage. 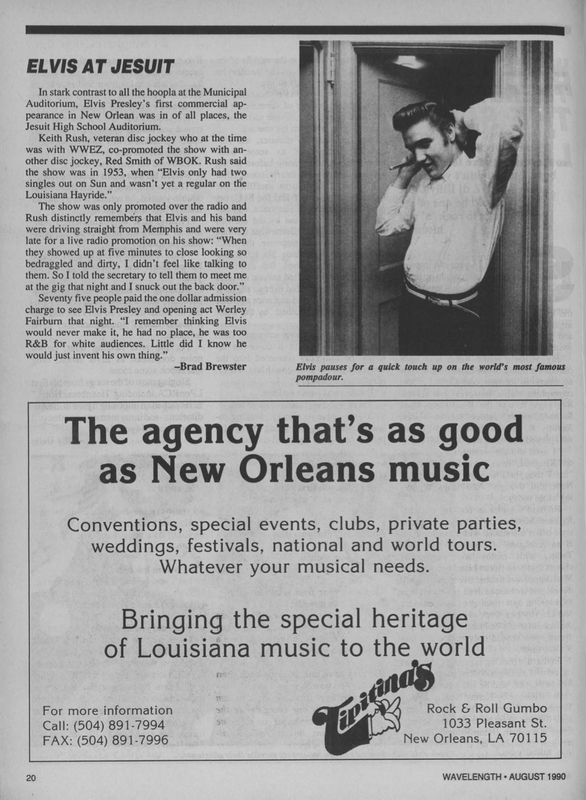 Even Elvis Presley performed here, playing two shows on February 4, 1955, backed by guitarist Scotty Moore and bassist Bill Black. 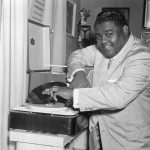 The set list included “Blue Moon of Kentucky” and “That’s All Right.” Just a day earlier, the trio had cut “Baby, Let’s Play House” at Sun Studio in Memphis. Jesuit alumnus Dr. John performs his hit "Right Place, Wrong Time" in full regalia. 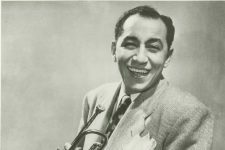 From 1959, former Jesuit Blue Jay Louis Prima with Keely Smith and Sam Butera perform "Just A Gigolo - I Ain't Got Nobody." Jesuit High School exterior in 2016. 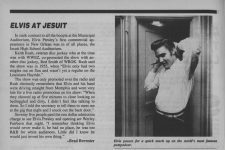 Brad Brewster on Elvis at Jesuit in Wavelength from August 1990. 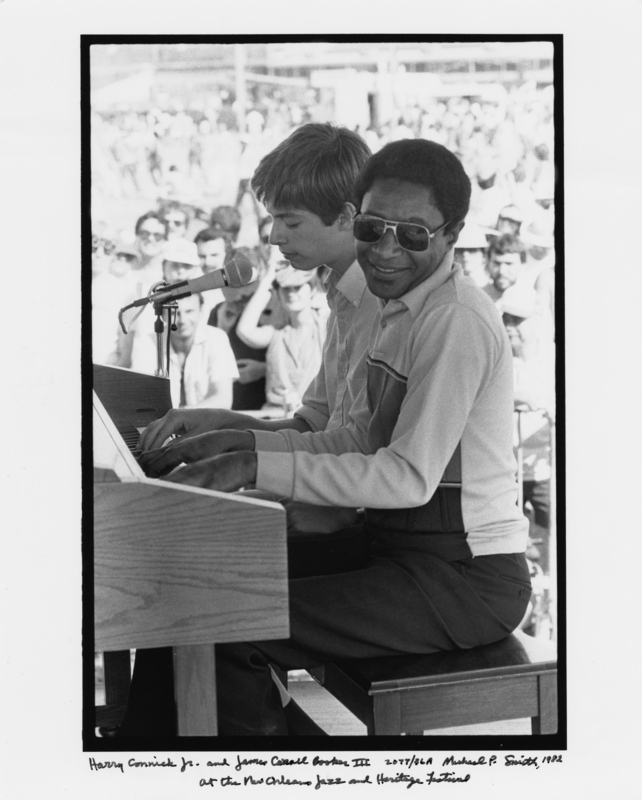 Harry Connick Jr. and James Carroll Booker III at the New Orleans Jazz and Heritage Festival in May 1982. 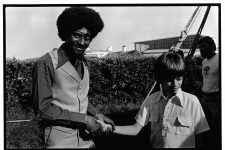 © The Historic New Orleans Collection, 2007.0103.4.714. 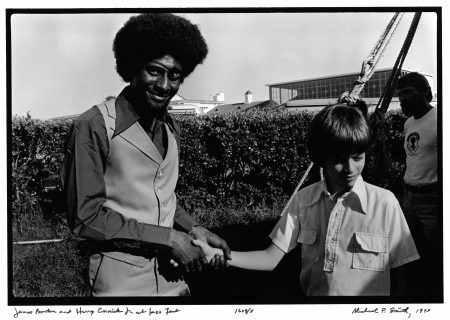 Photo by Michael P. Smith. 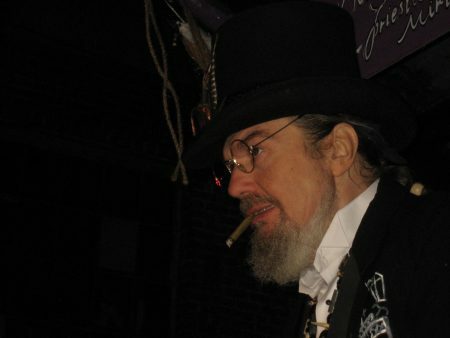 Dr. John reigning as the king of Krewe du Vieux Mardi Gras parade in 2010.